500ml organic, vegan friendly Clearspring Safflower Oil. The Clearspring Organic Safflower Oil 500ML product ethics are indicated below. To learn more about these product ethics and to see related products, follow the links below. Used for cooking and health optimisation. Nice light oil, rich in vitamin E, good to be used on salads but also to hydrate dry skin. A lovely oil which I use to add omega 3, 6 and 9 to my son's dairy-free diet. 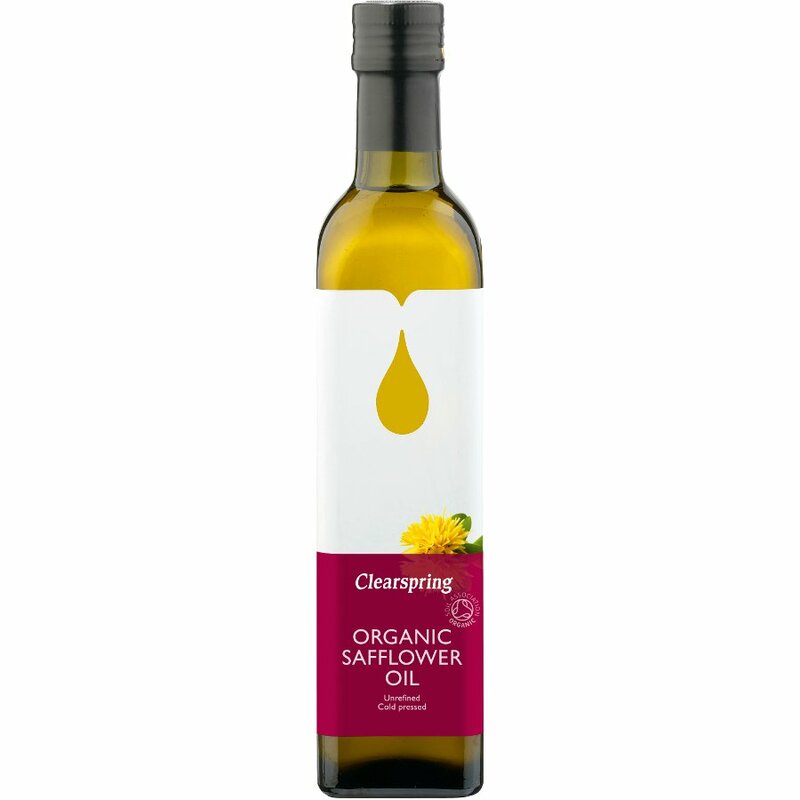 There are currently no questions to display about Clearspring Organic Safflower Oil 500ML.